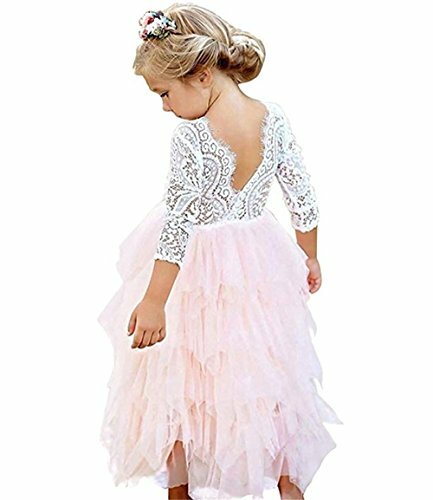 Toddler Baby Flower Girls Princess Tulle Dress Lace Backless Tutu A-line Beaded Party Dresses Pink | What Should I Say? 2. Manual measurement, the error of about 2-4cm, 1 inch = 2.54cm. 5 Layer Tulle Cake Design, Floral Lace Tops with Crystal Flower, V Backless Design, Soft Feeling of White Lace and Mesh, with Breathable Lining, Best Options for Kids Birthday Party & Holidays, Great Human Sewing Working and Quality. If you have any questions about this product by HOMAGIC2WE, contact us by completing and submitting the form below. If you are looking for a specif part number, please include it with your message.